Tokyo Cement Group declared open their newly upgraded Construction Research Centre as an independent laboratory to cater to concrete and cement testing requirements of the industry. Located in the heart of Colombo at 865 1/1, Dr. Danister De Silva Mawatha, Colombo 09, the research centre will test and certify cement, concrete and dry mortar products, according to local and international standards. This ISO 17025 certified Construction Research Centre is equipped with latest scientific equipment that can conduct accurate and timely tests on concrete mix designs used in the construction of high-rises and mega infrastructure projects. The research centre will also be Tokyo Cement’s innovations hub that will invent, test and fine-tune new introductions to its product portfolio. Manned by an expert research team comprised of qualified chemists, the laboratory will be the main incubator where the company will conduct new product development as required by its demanding customers, and enhance the range and utility of its dry mortar and value-added innovations product range. M. Ono, Executive Officer/General Manager of Planning and Control Department in the Cement and Construction Company of UBE Industries Ltd., Japan inaugurated the Construction Research Centre, with Chairman Dr. Harsha Cabral PC, Managing Director S.R. Gnanam, Group GM/Executive Director Christopher Fernando, Actg. General Manager M. Thayananthan and Director – Research and Development Dr. M.G.M.U. Ismail of Tokyo Cement Company (Lanka) PLC, who graced the occasion with the management and staff of the company. UBE Industries Ltd., the Japanese business partner of Tokyo Cement, was actively involved in providing guidance for the upgrade, with latest technology inputs to make it future-ready to provide laboratory services to the industry. Facilities at the newly upgraded Research Centre include a modern wet concrete lab and mini plants to test different blends of cement. 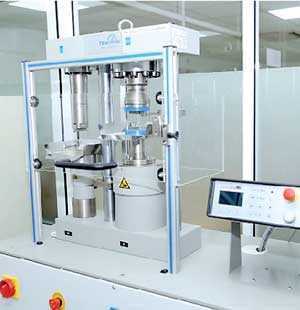 The equipment therein includes cutting-edge testing equipment such as Blaine, Vicat, Le-chatelier apparatus and strength machines that can verify fineness, consistency, setting time, soundness and compressive and flexural strength of cement. 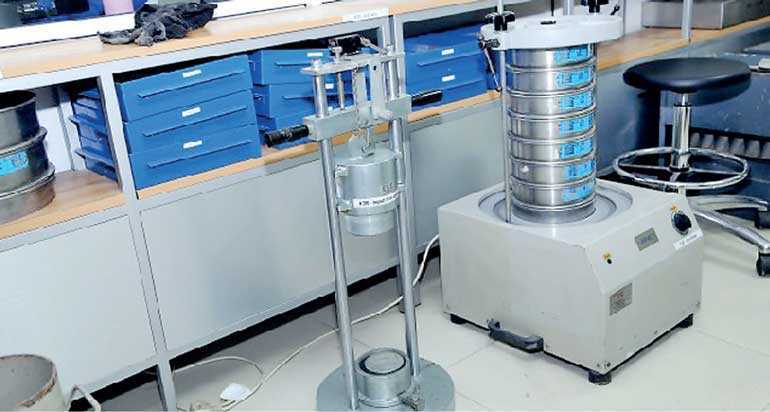 Concrete testing equipment available include L-box, V-funnel, J-ring, Slump flow (SSC), penetration resistance, air meter, strength machine, length compactor, water permeability and initial surface testing machines, that ascertain qualities such as setting time, air content, compressive and flexural strength as well as drying shrinkage. Non-destructive tests such as rebound hammer, chloride penetration apparatus and bond testers are also available to indorse the durability of concrete. For aggregate testing, the lab is equipped with not only AIV and ACV apparatus, but also tools for comprehensive sieve analysis to measure indices such as flakiness, elongation, shape and soundness. In addition, equipment to test technical properties of dry mortar products such as tile adhesives, flooring and water proofing compounds are also available. The laboratory is also equipped with pilot facility to formulate light weight foam concrete that is used as a filling material for highways and buildings. The Construction Research Centre is vested into the industry at a time when there are tens if not hundreds of construction projects, both residential and commercial are coming up in all parts of the country. Therefore, it is critically important to test materials used, to ensure safety, longevity and sustainability of these buildings and infrastructure projects. The Construction Research Centre is capable of providing its world-class laboratory services to all these projects, especially for multi-national collaborations where independent attestation of all materials and mechanical properties of concrete is mandatory. As a testament to their commitment to quality control, Tokyo Cement Company invested heavily in the field of concrete and cement testing in 2012 by setting up a modern R&D Laboratory at the A.Y.S. Gnanam Construction Training Academy in Dambulla. This laboratory was the first of its kind to receive ISO 17025 accreditation in 2015, for testing concrete materials and mechanical properties of concrete. In view of the construction boom, last year the company decided to shift the laboratory to Colombo to bring it closer to its growing customer base. 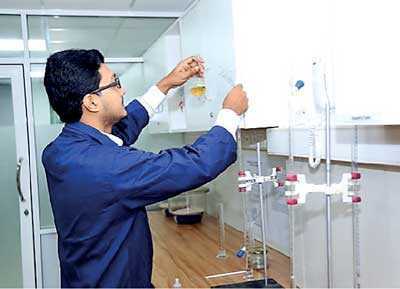 All tests are conducted by a group of expert scientists and qualified chemists, further strengthening the research centre’s reputation as a proficient laboratory services provider. The expansion of its operations to readily work on the next generation of construction products, elevate the research centre to an industry recognised testing facility that can provide reliable and prompt services to its clients. The Construction Research Centre, conveniently located in the hub of the metropolitan on Baseline Road, can be reached on 0112 445 105 to get more details on the available testing facilities and the services offered to its industry clientele.